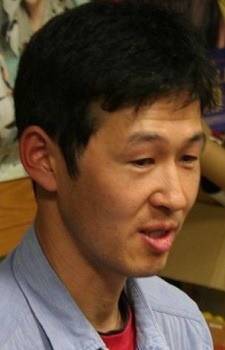 Takeshi Abo is a Japanese video game composer. He was employed by KID beginning in 1990, and joined 5pb. in December 2006 after KID declared bankruptcy. He is known for composing the music for popular visual novels such as Ever17 -the out of infinity-, ChäoS;HEAd, and Steins;Gate. Chaos;Child and Steins;Gate 0 had god-tier OST tbh. He is very good. He did other works outside of anime like Megadimension Neptunia VII. He did phenomenal there. I'm astonished to see how little experience he seems to have with making anime OST. I'm only familiar with his work from Steins;Gate and Steins;Gate 0, and l have to say this is one of my favourite componists I know! He is truly amazing and deserves more opportunities to give us viewers the feels. Man, your S;G and S;G 0 musical pieces are from an entirely different world line free from any attractor fields, aren't they? Great composer! Ever17 and Steins;Gate are my favorite VNs, he did an amazing job to make them a masterpieces. Awesome composer. I love his work on Ever17 and Steins;Gate. Probably my favorite music composer. I love his music. And many many other soundtracks, amazing work.